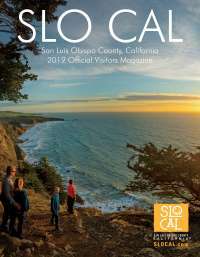 (San Luis Obispo County, CA) â€“San Luis Obispo County residents can now take advantage of the special â€œlocals onlyâ€ discount to experience Sunset SAVOR the Central Coast. Winner of the 2014 Fame Award for Best Epicurean Event, Sunset SAVOR the Central Coast is presented by Sunset magazine and Visit San Luis Obispo County. Experience one of the nationâ€™s premier wine and food events, offering four days of culinary immersion â€” Sept. 25-28, 2014. Through August 31, 2014, locals may save 15% on Main Event tickets to Sunset SAVOR the Central Coast. Purchase a one-day ticket for $72.25 (normally $85) or a weekend pass for $127.50 (normally $150) to attend the Main Event, which takes place at the historic Santa Margarita Ranch, September 27 â€“ 28, 2014. Tickets can be purchased online at www.savorcentralcoast.com. Enter the code â€œLOCALâ€ at check-out to receive your discount. Locals will also want to check out the special evening events and culinary adventure tours taking place prior to and during the weekend. New this year, guests may enjoy weekend evening events including Sunset at Pismo Beach Winemaker Dinners and a new headliner concert during Sunset in the Vineyard at Vina Robles â€“ both of which will be announced in more detail in July. Timed to coincide with California Wine Month, Sunset SAVOR the Central Coast features more than 30 local chefs, 200 wines and a variety of opportunities to experience the latest trends in food, wine, travel and adventure from the experts at Sunset magazine. Itâ€™s not too late to add a seminar from the esteemed line-up in Chef Central during the Main Event. Sunset SAVOR the Central Coast would like to welcome two new celebrity chefs to the event: Fabio Viviani, Fan Favorite of Bravo TV "Top Chef" Season 5, "Top Chef All Stars" Season 10 competitor, and star of "Life After Top Chef" and Tanya Holland, Executive Chef and Owner of Brown Sugar Kitchen and B-Side BBQ in Oakland, CA. Get your tickets to the Chef Central seminars today! For more information on Sunset SAVOR the Central Coast or to plan your weekend visit www.savorcentralcoast.com. About Visit San Luis Obispo CountyVisit San Luis Obispo promotes San Luis Obispo County through advertising, marketing, public relations and group sales. Its membership base is comprised of over 500 tourism industry-related businesses including lodging properties, restaurants, wineries, golf courses and retail stores. Sunset SAVOR the Central Coast is produced and managed by Visit San Luis Obispo County. Find out more by visiting www.VisitSanLuisObispoCounty.com. Sunset (www.sunset.com) is the leading lifestyle brand in the West. Through magazines and books, events and experiences, and digital and social media, Sunset covers the Westâ€™s best flavors, destinations, design trends, and innovations. Sunset engages and inspires an audience of over five million educated, active and affluent consumers every month through its five regional print editions â€” Pacific Northwest, Northern California, Southern California, Southwest and Mountain â€” as well as via all tablet devices and its website. In addition to its print and digital publication, Sunset showcases the regionâ€™s unique lifestyle and noteworthy destinations through its flagship events, established home programs, licensing partnerships, books and International Wine Competition. Sunset is part of the Time Inc. Lifestyle Group.